Now a days, use of smartphones has became very popular globally. Everyday thousands of mobile phones gets lost and stolen, but what if you can track them? Yes..! With the help of genuine mobile security and antivirus applications, you can do that. So, just to have a good anti-virus protection app in your smartphone doesn’t mean a complete Security. There are millions of applications in the PlayStore which claims to provide you free Security and antivirus protection on their apps. But most of them are useless. You can check their reviews to learn weather they are genuine or useless apps. Well, If you are thinking, all mobile antiviruses are fake, they doesn’t work, then you are probably wrong. Trust me, there are many genuine antiviruses in the PlayStore, which really works. In present day, there are lots of hacker waiting for you to get hacker. They are waiting for your one mistake. That’s why, you should never download any unknown app from thirty-party sites, because they contain malicious virus which can damage your smartphone. But with the help of genuine security and antivirus apps, you can really prevent their attacks. 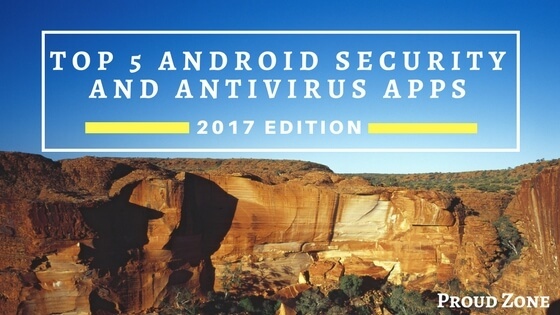 So, after doing lots research, I have came with the list of best top 5 genuine android mobile security and antivirus apps, which will help you to maintain your security. The Best App To Protect Your Safety. With AppLock, Junk Cleaner, Speed Booster. Install it to get full & free Security Protection and Mobile Optimization in just ONE TAP. Millions of mobile users are suffering from property loss and privacy leak every year. 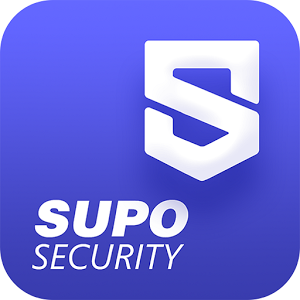 Supo Security is the BEST one-stop solution to secure your mobile lifestyle, with effective functions as antivirus, app lock, phone boost, junk notification & cleaning, battery saver. With the strongest antivirus engine powered by both local and cloud engines, Supo Security is capable of scanning your installed apps and keeping you away from virus,adware,malware,spyware,trojan,phishing,system vulnerabilities and other potential threats. Lock your photos,messages,shopping records from prying eyes and nosy snoopers.Prevent others from snooping your secrets in apps/games, ex:Whatsapp,Snapchat and Facebook. Scan every new installation in real time, keep device in 24 hours’ protection against virus and privacy leak. Clean up useless junks, including system files, app caches and large files, to save more spaces and enhance your phone performance. One tap to kill unused background apps and free memory(RAM) use, to make your device speed faster! Intelligently analyze and optimize your battery usage to save power and extend battery standby time. Cool down your phone temperature and reduce CPU usage by cleaning up overheating apps. And extend battery life! Fully and deeply clean up all the threats hidding in your SD-Card. 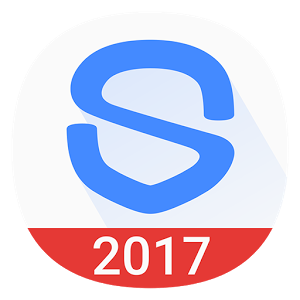 Supo Security, the most effective antivirus & boost safeguard for your android phones. Hope you stay with us, enjoy the secure mobile lifestyle and best device performance. Mobile Security with Antivirus, Virus Scanner, Apps Lock, WiFi Scan & Speed Test. Hi Security is a world-class FREE Antivirus protection, protecting your Android phone from all virus attack, privacy snoopers and WiFi spies. Hi Security (Antivirus, App Lock, Privacy Clean, WiFi Security) is absolutely free with No Ads. Hi Security is powered by McAfee which means it will secure your mobile safety with the best antivirus protection service. Hi Security also provides a continuously growing, cloud-based anti virus database which provides you with secure Android experience without any threats (malware, Trojans or any extortion viruses). The antivirus engine effectively scans and kills all Android viruses on your internal device storage, no more worries about Android threats. You can secure sensitive apps. This password is different from your phone unlock password, which gives your an extra level of security. Lock your private apps by using fingerprint, pattern or PIN. Fingerprint lock password is supported on specific devices. Protect your privacy with the smart App Lock NOW! A range of brand new App Lock themes added! Fingerprint unlocking is supported specific devices and Android 6.0+. Hi Security protects your online security from insecure public WiFi & phishing hotspot by detecting DNS/SSL hijacking and ARP spoofing. Test WiFi speed, detect WiFi intruders and protect your network safety. Hi Security only takes a few seconds to examine your entire phone. High performance but require less memory consumption. The best mobile security mobile application is tiny but with decent safety features ( Virus cleaner, Cleaning your browser and clipboard history, Privacy App Lock, WiFi Security and more). A world-class Antivirus – Virus detector and mobile threats remover. Deep Scan – Scanning entire internal storage. Privacy Clean & Protection – Clean up browsing and clipboard history with one tap. Safe Browsing – 24/7 online security protection. Phone Memory Cleaner – Memory clean. Android vulnerability detection – Stage fright Detector. App Lock – Sensitive application locker. WiFi Security – WiFi test speed and detect WiFi Spy. Professional, Fast, Easy, Space-Saving and Efficient. 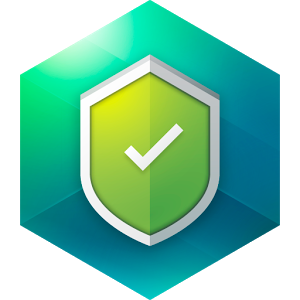 Android Antivirus & Security detects viruses and malware. Protect your phone. Free antivirus and phone security solution for Android devices by kaspersky Lab. Kaspersky Internet Security for Android is a FREE-to-download antivirus solution to help protect your phones and tablets that can be even more vulnerable than your computer, as well as your privacy and your personal information against online dangers. • Scan for viruses, malware, spyware and Trojans – with a background check. • Automatically remove viruses & other threats from phones & tablets. • Help to safeguard all the apps & files you download. • Protect your vulnerable personal information from prying eyes. • Help to keep you financial information secure while shopping & banking online. • Block unwanted phone calls and text messages. • Filter out dangerous links & sites while surfing the Web. • Find your lost Android phone or tablet. Kaspersky Internet Security for Android helps you find your lost phone or tablet. This protection tool allows you to turn on an alarm on the device remotely, lock and locate your phone, wipe personal information (messages, photos, and videos) and take a mugshot of the person currently using your device in the case of theft or loss. The phone security solution includes a tool to block unwanted calls and messages on Android devices. You can independently set filtering rules for incoming calls and SMS texts, add unsolicited contacts to the black list, block SMS texts with ads and detect spam from non-numeric numbers. The antivirus system protects your device from Internet threats while surfing the Web, by blocking phishing and other dangerous links to malicious websites. Keep your vulnerable financial data and privacy secure while making purchases online. Using voice control you can activate the «Find my phone» function, run an antivirus scan for viruses and other malware, get protection status updates. • Kaspersky Lab protection: Efficient malware detection and antivirus protection provided by one of the leading cybersecurity companies. • Worldwide popularity: More than 400 million protected users around the world. • High-end protection technologies: Real-time protection supporting Android 6.0 and all the latest smartphones & tablets. • No ads: We don’t show banners or other ads in our application and we don’t sell your user data to other companies or ad networks. • Battery economy: The solution combines protection and efficiency that let your device perform as it was designed to. Protect your phone against viruses and malware. Complete security by Avast. 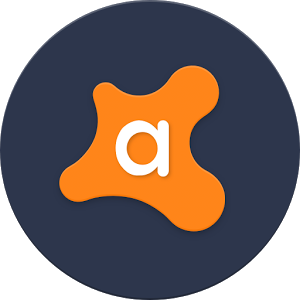 Protect yourself against viruses and malware that cause popups and unwanted ads with Avast Mobile Security, the world’s most trusted free antivirus app for Android. Get alerted when you install spyware and adware apps that violate your privacy by sending your personal data to their servers. Secure your devices against phishing attacks from email, phone calls, infected websites or SMS messages. • Antivirus Engine: Virus and malware scanner automatically scans for infected/dangerous apps and Trojans upon first use. Includes Web & file scanning for complete mobile protection, and also protects against spyware and viruses. • App Permissions: Provides insights about installed apps and helps you understand your apps’ access rights, ad network integrations, and permissions. • Call Blocker: Keep your privacy. Add phone numbers to your blacklist and block callers you don’t want contacting you. 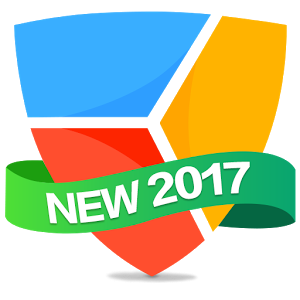 • Web Shield: Scans and blocks malware-infected links, as well as trojans, adware, and spyware (for privacy and safe Web browsing, e.g. Chrome) and also fixes mistyped URLs. • Wifi Security: Check the security of each network and email, browse and make payments wherever you are. The Junk Cleaner & Booster & Mobile Security App,With Antivirus Engine Inside. Free Security Protection, Speed Booster and Junk Cleaner for Android Phone trusted by 200 million users, 360 Security is the only all-in-one Junk Cleaner, speed booster and antivirus app that optimizes your background apps, memory space, junk(cache) files and battery power, while keeping your device safe from virus and trojan. • It’s an Effective speed Booster & Cleaner-Lacking space for new apps and photos? Just clean application caches and junk files, boost your phone with one click! • It’s a Smart Battery Saver- Battery draining fast? Adjust your draining settings and disable unnecessary apps that drain your battery! • It’s Virus Remover for android -Worried about viruses or phishing? Don’t be! 360 Security’s top antivirus solution makes sure your device is free from malware, vulnerabilities, adware, and Trojans! Boost speed to improve the performance and RAM of your phone, boost your game to make your game run smoothly. Enjoy your fast and free life. Intelligently saves your device’s power by knowing when to automatically trigger 360 Security’s Clean feature, which saves you all the battery power you need, when you need it the most and makes your phone stay with durable power. Above are the top 5 mobile security, antivirus and mobile boost apps which will help you to maintain your mobile security and privacy along with cleaning viruses, absolutely free. If you like this post, please like, share, subscribe and if you have any questions to ask, you can ask in comment box. Thank you.